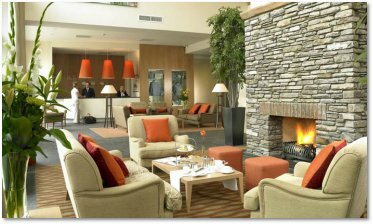 Sneem boasts a wide range of accommodation to suit every taste and budget. We have listed a selection of places to stay below. 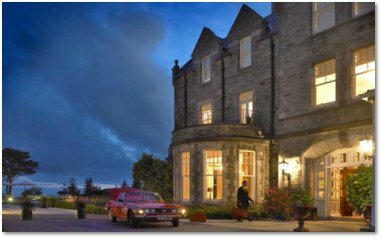 Situated on the edge of the village this 69 room top class hotel offers real luxury. With fantastic views across the bay and a warm well equipped bar is favored by the traveller who wishes to end each day with a nice hot bath and a meal in the excellent restaurant. As well as the normal luxury rooms the Sneem Hotel also offers a range of self catering chalets. I have stayed at the Sneem Hotel on many occasions and have always had a first class experience. The Luxury Resort & Spa has 83 bedrooms and Suites, 24 luxurious two bedroom self catering lodges and 38 three bedroom self catering villas just off the main building. The self catering accommodation is perfectly suited for a family holiday in Ireland with a wide selection of activities to keep the whole family entertained including a 12 hole golf course. The Spa and Leisure centre has been recently developed and has 13 treatment rooms, a thermal suite and relaxation areas overlooking Kenmare Bay. Run by Anne and Frans van Assen. 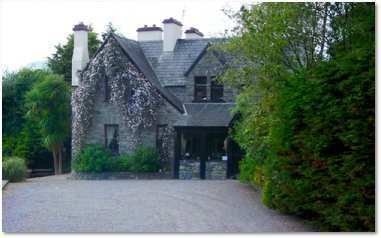 Sneem River Lodge is a 4 star Irish Home bed and breakfast established by Anne and Frans in 1998. 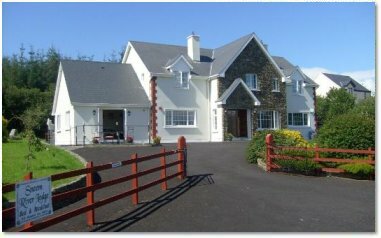 Situated in a peaceful setting in the lovely village of Sneem on the Ring of Kerry. Bedrooms have spectacular views of Sneem estuary and mountains.All rooms are en suite with TV, tea/coffee facilities and are decorated to a high standard. You can also enjoy a traditional home cooked Irish breakfest, including the famous Sneem black pudding.. The Convent House is ideally situated on the banks of the Sneem estuary with four acres of private garden. The house has seven en-suite bedrooms a large lounge with two fireplace for the enjoyment of guests and a private dining room. The house has kept the integrity of its origins while remaining a modern and comfortable retreat, filled with antique clocks and old books.The house has been run by the OSullivan family as a guest house since the 1970s. Enjoy the home baking, open turf fires and traditional hospitality all year round. Coomassig View B&B (all rooms en-suite) is a luxury spacious dormer bungalow, situated less than half a km from the colorful little village of Sneem on the N70 Ring of Kerry. Facilities include drying facilities for walkers and cyclists, private parking and lock up indoor storage for bicycles and back packs. 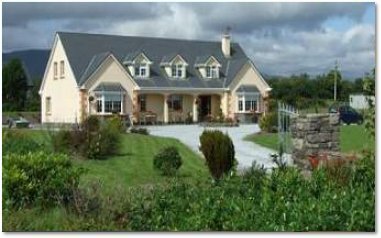 The house backs onto the Kerry Way just outside Sneem and is perfectly situated for hikers. We co-operate with B&B's along the walking route to provide for luggage, transport, drying facilities, packed lunches and more. Note: I am in no way connected to any of the businesses mentioned on this site.